We wanted two buckets of information. We wanted him to take the phone, look at the text messages, e-mails, run the search terms that we set forth and give us any communications with anybody about deflation or inflation. So if Mr. Brady had talked to an assistant coach or talked to the second-team quarterback about these issues, we would get that material. We then asked him for all communications regardless of subject matter, I think, between Mr. Jastremski and McNally, regardless of — and Schoenfeld, regardless of the search terms. So we wanted two buckets of information. And I know, I didn’t get — okay, I will stop. Wells was clear that he didn’t want to actually take possession of Brady’s phone. Rather, he wanted Brady to have somebody search the contents of his text messages and emails and turn over the ones that contained certain key words, or were exchanged with certain key figures. Wells said multiple times that he told Brady’s agent, Don Yee, that he would trust Yee to be forthright and turn over all relevant messages. An initial examination of the Samsung Galaxy Note 4 indicated that its dates of active use were from March 6, 2015 through April 8, 2015. As such it was deemed to be outside the scope of the investigation and nofurther analysis was conducted. The March 23, 2014 date is based upon notes/location information from the installed application “Evernote”. It is likely that this could have been synchronized onto the phone at a later date and that the records were created on a different device. May 23, 2014 shows multiple applications being installed and is the first time web cookies are noted to exist. It is believed to be the more accurate initial active usage date. The discerning reader will notice that we’re left with a gap between Nov. 6, 2014 and March 5, 2015 in which the contents of Brady’s text messages are unavailable. Considering that the AFC Championship game was contested on January 18, 2015, this is a crucial four-month period. This is the destroyed cell phone that so rankled Ted Wells and Roger Goodell. Brady was questioned extensively at his appeal hearing about this gap, and he asserted that it had always been his practice to have his cell phones destroyed every so often. He explained that there is private information like players contracts, endorsement deals, and photos of his family on his phone that he wanted wiped. That seems like a perfectly reasonable desire. Q. Okay. And did you do anything unusual here in terms of getting rid of your phone? And I will explain what I mean. In other words, did you hear about the Wells investigation or the request for this and then say, oh, let’s get rid of my cell phone or anything like that? Q. Did you do anything unusual except your normal practice, when you are done with a cell phone, to get rid of it and have it destroyed? A. That’s what I do. 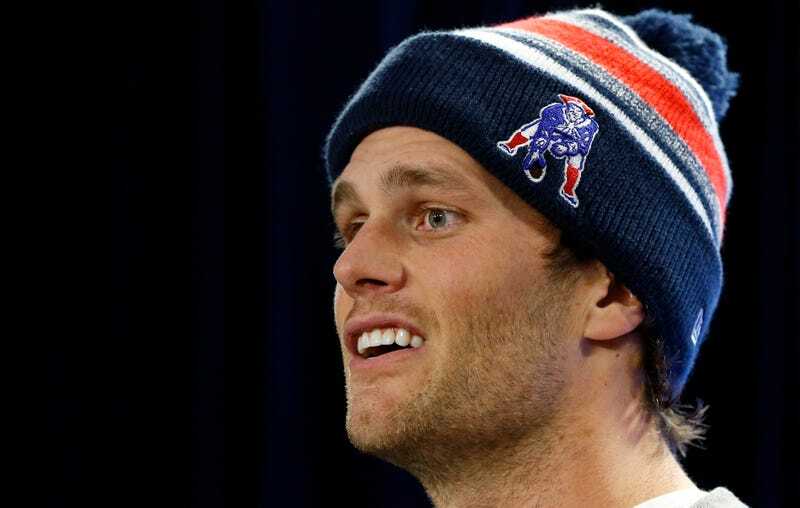 The NFL asked about the current location of the missing phone, but Brady professed ignorance. An AT&T executive wrote back and explained that, unless Brady was an AT&T Messages subscriber (he wasn’t), the contents of his messages were only stored on AT&T’s servers for three days at most and there was no way to retrieve the texts. All the emails that came up in those searches were submitted as evidence in the ongoing suit, and we are still working our way through all of them (you can get a taste here). But from the forensic examiner’s report it seems like none of them were particularly relevant. For instance, the word bladder was found twice, both times referring to the human body, and the only time “one pound” was used was when discussing eating protein. A bunch of finance emails are included, as Brady discussed the economic concepts of deflation or inflation with others. You can read the forensic examiner’s two reports, AT&T’s letter to Brady, and the log of the phone calls and text messages he exchanged with Schoenfield, Jastremski, and McNally below.